It's Book Business Friday. How about a reminder of the categories of children's books genres, and what defines those catagories? There's an article here in which Laura Backes, from Children's Book Insider (see that site here ,) tells what's what. 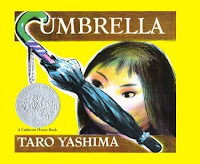 "Picture book" itself is an umbrella term. Since children grow and change so much during those several years of being picture book readers, the term includes many different types such as board books, concept books, bath books, story books, and so forth. Take a look. What age will your reader be?